Nearly 900 employees, sales teams, ECPs and lab partners gathered to reflect on 2018 accomplishments and discover how Essilor’s mission, people, products and commitment to the industry will help the customers stand out and win with patients in 2019. 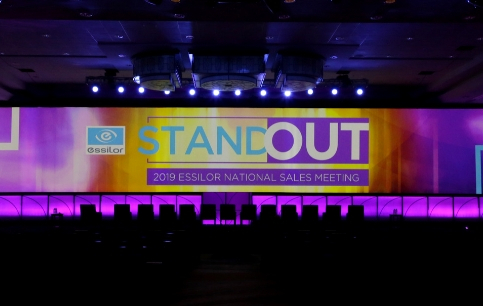 Essilor of America (EOA) held their 2019 National Sales Meeting in Phoenix, Arizona, from 6 to 9 January. The high-energy meeting kicked off recognizing the top sales performers. Employees then gathered to hear from senior leaders about EOA’s strategic imperatives for 2019 and how achieving these objectives is fueled by our mission and our people. Coinciding with the NSM and in continuation of the awareness campaign launched last year about the rise of myopia in children, Essilor announced its newly formed Myopia Taskforce along with the plan to establish a recommended protocol and preferred method for comprehensive myopia care as part of the Myopia Initiative in Action, or “MIA” program. The aim is to lead the fight against the potentially sight threatening condition. Essilor of America also announced the launch of its “Instant $100” promotion designed to boost second par purchases in independent eye care practices, allowing consumers digital rebates across the full Essilor product portfolio. The event concluded with a special event hosted by Essilor Vision Foundation celebrating 1 million magic moments in honor of providing 1 million pairs of glasses to those in need. 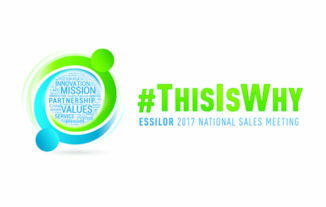 A focus on one of Essilor’s annual regional conferences aligning teams, partners and customers on delivering the best in visual health care to patients. 64,000 people in 69 countries working to improve and protect eyesight. 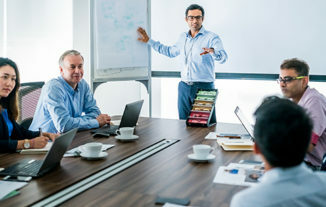 Find out how Essilor supports its teams worldwide to develop their skills and expertise to meet the world’s diversity of visual health needs.